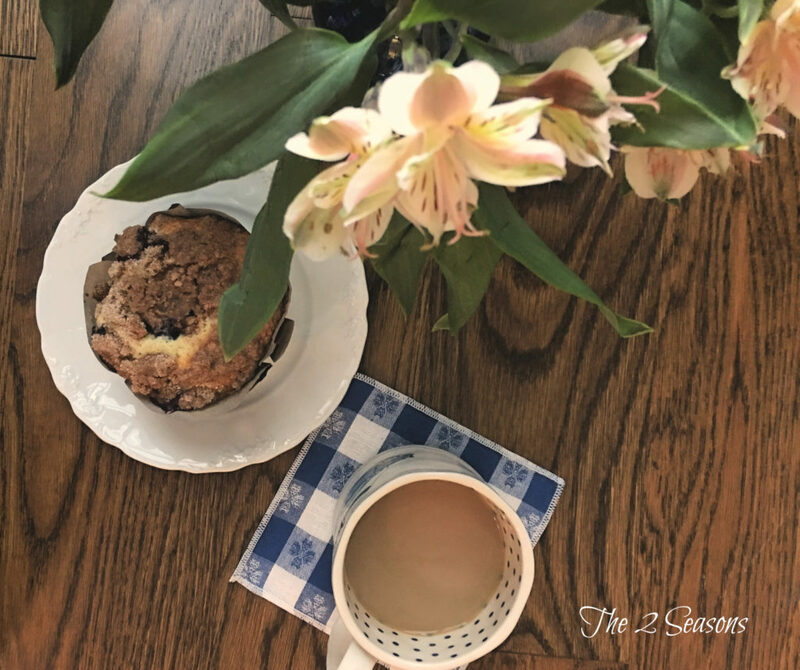 Here's a delicious recipe for white chocolate blueberry muffins. I am a muffin girl. I love making them, eating them, and serving them. Now, I know that muffins are really just a glorified way of trying to make cupcakes seem healthy. They’re also a way to eat cake for breakfast. I get it. There really isn’t anything too healthy about a muffin unless they’re loaded with bran, wheat flour, raw honey, applesauce instead of oil, and free-range eggs. But, it’s fun to indulge now and then. Am I right??? 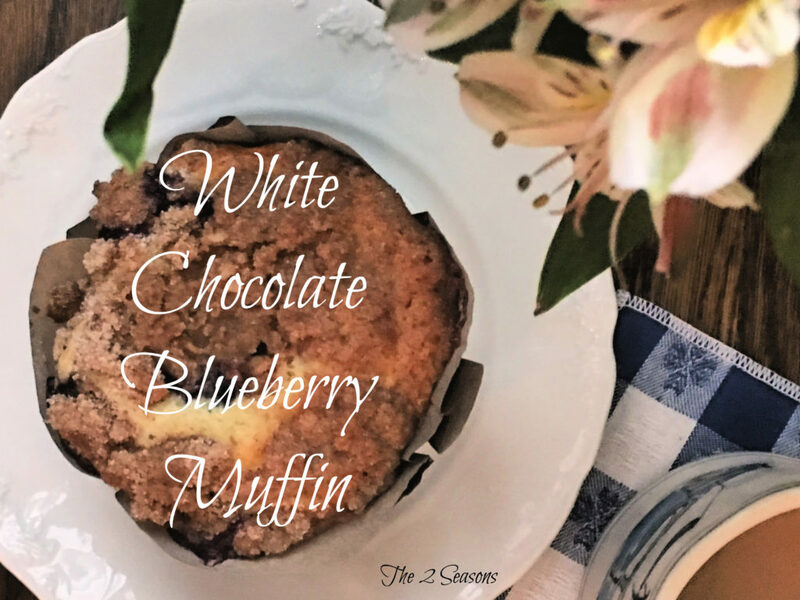 So, that all being said, today we are sharing a recipe for white chocolate blueberry muffins with a delicious streusel topping. I made some jumbo ones and some regular-sized ones, and they were all good. I especially like them with a cup of tea in the afternoon. Combine 1 1/2 cups flour, 3/4 cup sugar, salt and baking powder. Place vegetable oil into a 1 cup measuring cup; add the egg and enough milk to fill the cup. Mix this with flour mixture. Fold in blueberries and chocolate chips. Fill muffin cups right to the top, and sprinkle with crumb topping mixture. If you are a lover of blueberries, then you might like this blueberry pie recipe or these blueberry granola pancakes. Treat yourself and your family this week to these delicious white chocolate blueberry muffins. I think it should be 1 and 1/2 cup of flour. You did not say when and how much white chocolate to add. It is the same recipe I make from All Recipes: To die for muffins. Really good, I make a double recipe! Thanks for the comment. I just spoke with my mom about the recipe and made the changes. One question: I don’t see white chocolate listed in the ingredients. Do you use white chocolate chips in the crumb topping? Thanks! What makes these white chocolate? Ingredients are for regular blueberry muffins. We forgot to add that line in the ingredients but it has been updated. 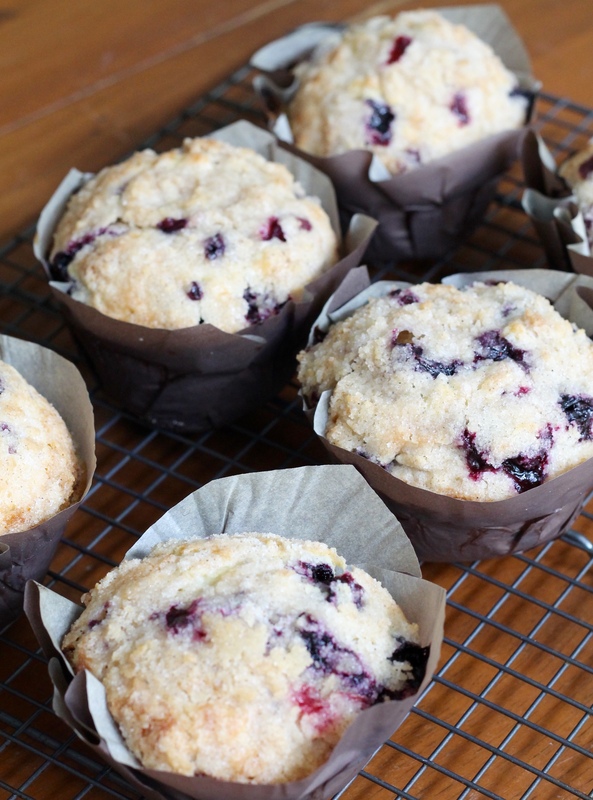 White chocolate is a lovely addition to these blueberry muffins. A family favorite kicked up to a new level!